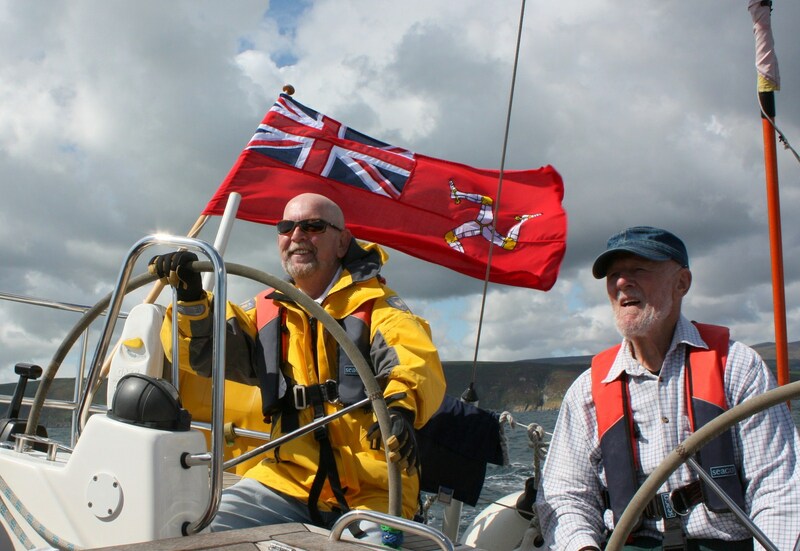 Sailing for the Disabled which was founded in 1984 offers adults and children with conditions that affects their day to day life, whether it is physical mental or emotional the opportunity of sailing on our own boat Pride of Mann III. Many of the people assisted have no previous experience of sailing - some have never been in a yacht before. It is a sport that may be tried at any age and with virtually any disability, including people in wheelchairs and those with visual and hearing impairment. Success we measure in enjoyment! Applications for personal membership for persons with a disability are considered from anyone reaching the age of 12 or over. Anyone without disability must be aged 18 or over before applying, unless they have a sibling with disability who is already a member. In addition we offer membership to Community groups who deal with persons suffering from any condition which affects their day to day life, whether it is physical, mental or emotional and to corporate sponsors who wish to support our operation. Please feel free to contact us for more information. In 2006 we were honoured to receive the "Queens Award for Voluntary Service" which recognises our "Unsung Heroes”. 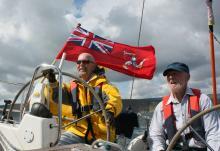 We are affiliated to the RYA and our volunteers receive RYA based Awareness training to assist them in supporting our "Enabled sailors". Our latest vessel Pride of Mann III a Beneteau Oceanis 48 cruiser was purchased new in September 2014 and was specially adapted for us by Hamble Yacht Services to make it more accessible for those with mobility problems. The adaptions include a stern boarding ramp, moveable cockpit table and a lift to the saloon. In addition she has a fully enclosed cockpit cover for the days the weather is unkind and this will be a real benefit for those who enjoy sailing in the winter months. She is our third yacht to bear the name Pride of Mann; a name that is appropriate not only because the charity is proud of its achievements, but also for the pride that disabled sailors take in being able to sail on an equal footing with their able-bodied counterparts.Sailing with Pride is what we do. Every person sailing with us is treated as an individual and their specific needs are considered. Experience gained with our previous vessels has demonstrated that disability need not be a barrier to managing on board. Pride of Mann III is based in Douglas inner harbour. Access at Douglas is via the Tongue and a safe route to the pontoon is made by means of the pontoon access ramp from the marina gate. Stern boarding is possible using the boarding ramp to the cockpit and this can accommodate those in wheelchairs. Unless otherwise advised those sailing are asked to meet at the boat one hour before the published sailing time. When the weather requires we can offer you waterproof sailing jackets and trousers in which case we will meet outside Douglas Bay Yacht Club. Everything changes once you step on board the yacht. Some things are more difficult, some much easier. Physically and mentally nothing is the same – even your mood changes. Being on the sea brings everything from exhilaration to tranquillity. Through “Sailing for the Disabled”, whatever your disability, a whole new life opens up for you. you didn’t do than by the ones you did do.